CDI Diamonds & Jewelry has a large inventory of loose diamonds to meet any budget or style. 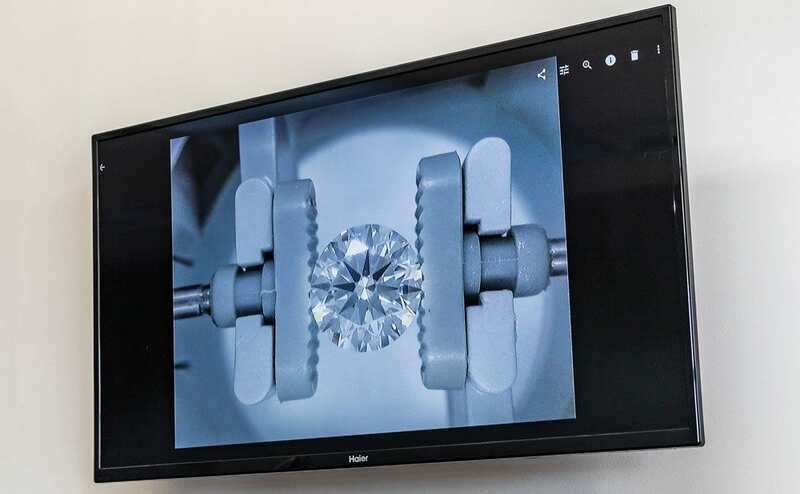 Our diamond viewer allows our customers to see their diamonds on a large HD monitor instead of an archaic microscope. CDI’s trained staff takes the time and effort to educate each customer on their diamond purchase. Unlike most jewelry stores, where you are expected to view your potential loose diamond options under a microscope and or a jeweler’s loop, at CDI we show you your diamond options using state of the art technology on our wide screen television insuring that you can view the unique characteristics of your diamond in a very easy manner. At CDI Diamonds & Jewelry we pride ourselves in helping each customer with their diamond selection in our friendly low-pressure environment, with our educated staff. We carry certified diamonds by GIA, AGS & EGL as well as non-certified diamonds in all shapes, sizes, and price ranges in addition to providing Free Replacement Insurance with all diamond purchases. The color scale below illustrates the various degrees of diamond color. The absolute finest white diamond carries a “D” color grade. When comparing different color grades, most people will be unable to see a difference in color, although there can be a significant difference in price. The clarity grade is the degree to which the diamond is free of inclusions and blemishes. Most diamonds have internal inclusions, which determines the clarity grade. All certified diamonds are graded under 10X magnification, by trained diamond graders, based on the number, size, and location of the inclusions. Diamonds are weighed in carats, abbreviated “ct.” A carat has 100 points. When you see a diamond weight of 1.15ct, that means one carat and 15 points. The most popular diamond shapes are pictured below. Better cut diamonds will determine its ability to sparkle. Ideal Cut Diamonds are diamonds which are cut to ideal proportions resulting in maximum brilliance.